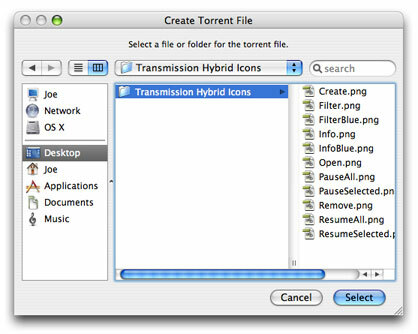 I will be using Transmission to create the BitTorrent file which makes it really simple! 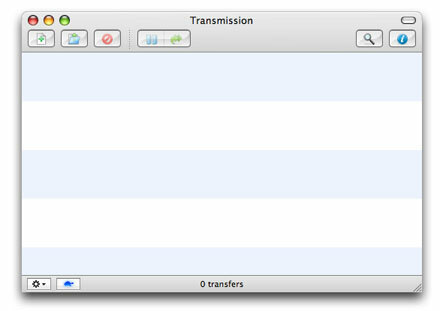 Transmission is the best BitTorrent client I have come across, it has many good features but isn’t too bloated. 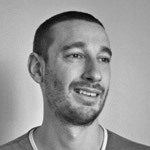 If you have not yet got Transmission, it can be downloaded from http://www.transmissionbt.com. 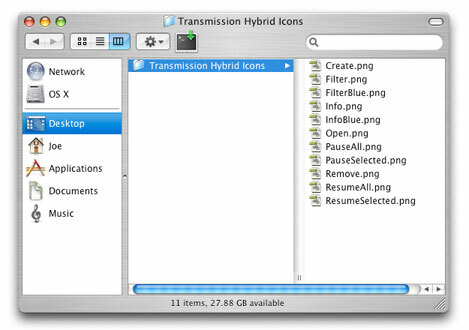 Transmission is available in multiple platforms, I am running Mac OS X but the steps should be the same for any operating system. In this tutorial I shall be using version 1.11 with some custom button images that I have made. It is these images that I shall be sharing for the purpose of this tutorial. It makes no difference what files I am using when making this torrent, it just so happens I am sharing a single directory with several png images inside it. My favourite tracker is http://thepiratebay.org. It’s the biggest BitTorrent tracker on the internet, and a nice simple site to use. However there are loads of others. See here: http://thebeehive.info/p/tlist.htm (you may need to register with some trackers). 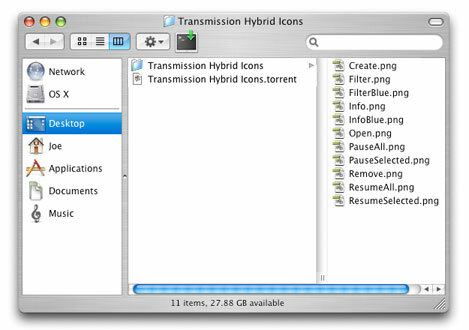 It is best that you place the file/directory you are sharing in the share directory for Transmission. For the purposes of this tutorial I shall be using the desktop. You now need to add in the URL from step 1 where it says ‘Announce URL’.You can also add a comment to the torrent file. This will be viewable by people downloading the torrent – but it is not required. Specify where to save your torrent, your Transmission share folder is probably the best place. Once you click create your torrent file has been created. Your torrent will now be running in Transmission, however you must upload the torrent file to a tracker so other people can access it. 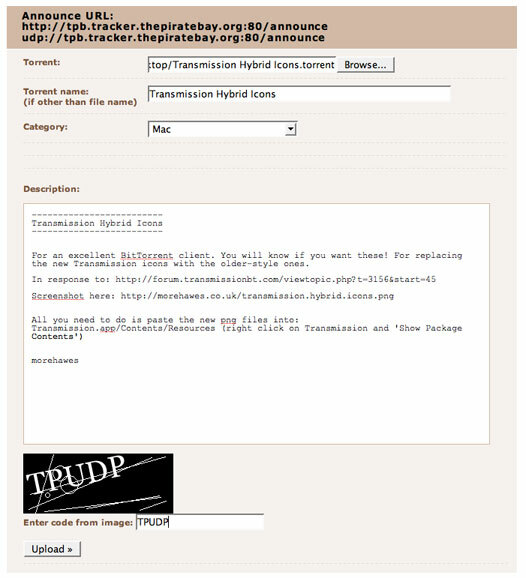 You will be able to specify a name for your torrent. Make sure you name your torrent accurately, because this is how people will be able to search for your upload. You should also be able to add some comments to your torrent on the tracker. Once uploaded, your torrent is now out there in the wild. You can now search for it on the tracker, and view the details page. You can also let others know about it by copying down the URL. Some other trackers also let you host this file, even though you have specified a different tracker in the torrent file. So spread it about by uploading it to other trackers in order to get the best coverage. I have registered on piratebay.org but when I click on upload torrent, I don't see the announce url as you show it here in your tut. Where do you think I have gone wrong ?